High-riding Dream Team VI have rejected a win bonus of $1,000-a-player for their 4-1 win in Gabon in an All Africa Games qualifier at the weekend. A frican Football.com can exclusively reveal that both players and officials refused to receive the bonus to set up a showdown with the Nigeria Football Federation (NFF). “We refused to receive the $1,000 bonus,” a player who made the trip to Libreville. 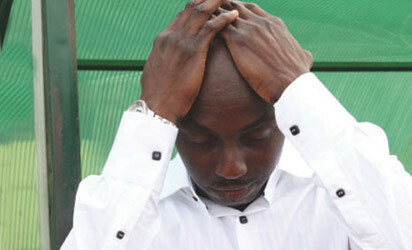 Top NFF officials have recently complained about the poor finances of the federation. NFF technical committee chairman Felix Anyansi-Agwu said the FA have been battling with various costs lately. In the meantime, the Nigeria U23 team returned to Abuja Monday afternoon after their convincing road win in Gabon. The return leg is fixed for March 7 in Abuja.